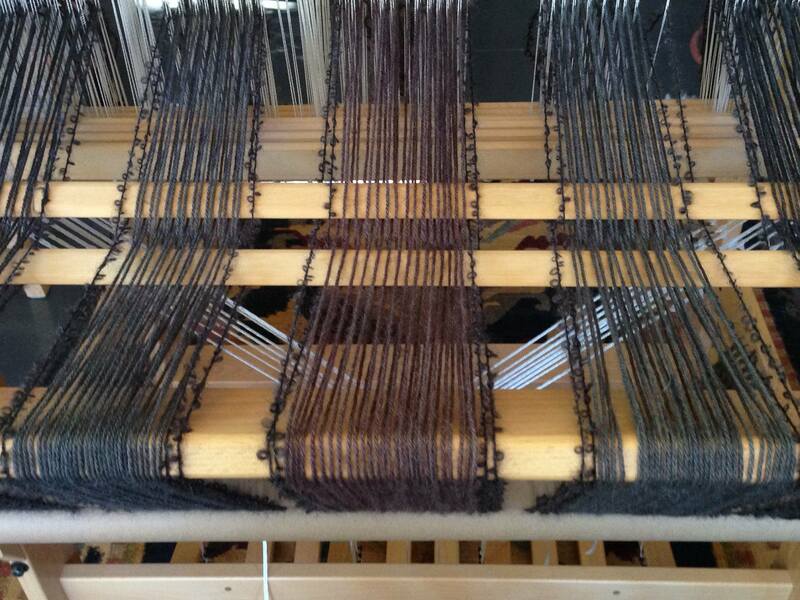 My philosophy on weaving is really very simple: we should all just be having a blast and enjoying the ride. Weaving is an amazing craft because it provides a creative vehicle for so many different personality types, from the precise analytical mind, to the free-spirited, let’s-fly-into-the-wind types, to all the rest of us in between. We all see the world differently, and we process information differently. Weaving allows all of us to advance in our own way and arrive at our destination feeling creative and fulfilled. That said, no matter which way you approach weaving, there are a few things that are a given. We have to learn how to manage our threads and get our looms dressed as easily as possible. And we have to learn a lot of techniques to get the job done. Good technique is central to our success. Beginners have a lot to take in—a whole new vocabulary, hand and finger dexterity, brushing up on arithmetic :). But also, learning how to stay focussed and hopeful with so many possibilities laid out in front of us on a gazillion websites, blog posts, magazines, books, Pinterest, Instagram…you name it, you could spend all your time just looking and never doing, and you could get really confused. When I started to weave it was much easier. There were far fewer resources. And there’s a sense in which that changes everything. There weren’t the kits and all the patterns like there are now—and because of that I learned so many valuable things right from the start. Because in those days (you know—around the time of the dinosaur) we were pretty much designing everything from the very first project. If you wanted to make a placemat, well, you took the yarn you had, figured out the ends per inch by wrapping it around a ruler, decided how wide and how long and how many you wanted to make…you did the arithmetic. You decided where the colour was going to go. And then you got going. Fewer options meant fewer contradictions, too. I was blessed early on to have many wonderful teachers. But I also learned early that each one of them felt quite strongly that their way was best. At the art school I went to, we had a constant string of top notch weavers and artists rotating through the school. One teacher would say, “You should do it this way” and then the next teacher would say, “You should do it that way.” What I figured out was—there are a heck of a lot of ways to do the same darned thing. Eventually I stopped listening to all of them and figured out my own way, based on tidbits from all of them. Hence, the first year of the online guild focuses on FOUNDATION. 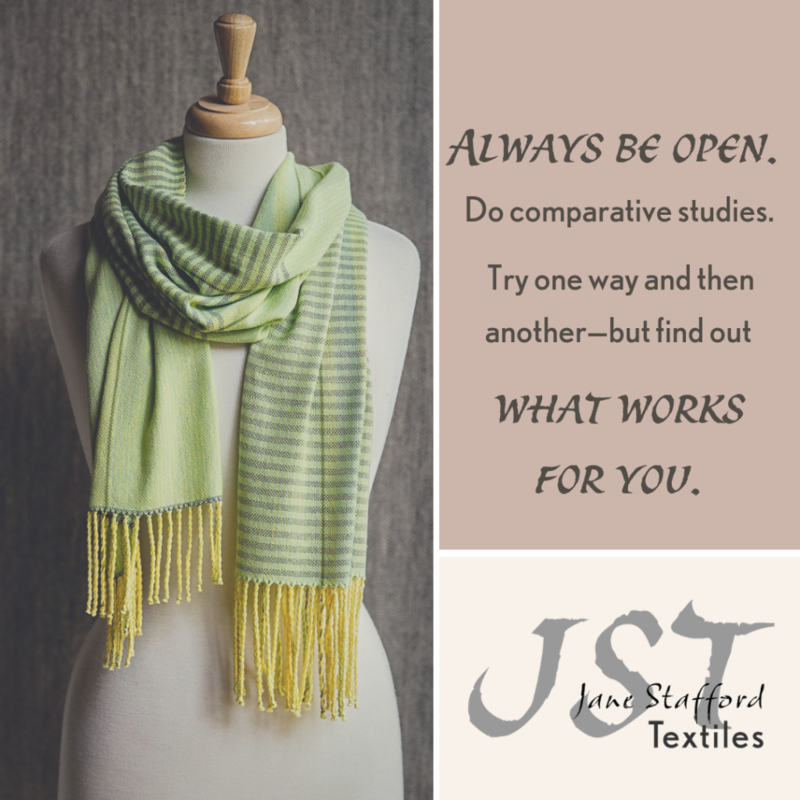 I present different ways to do things but the most important thing I try to get across to you, the weavers, is that you have to try different things and find the way that works best for you. Always be open. Do comparative studies. Try one way and then another—but find out what works for you. Remember, it isn’t right, it isn’t wrong…it is just different. 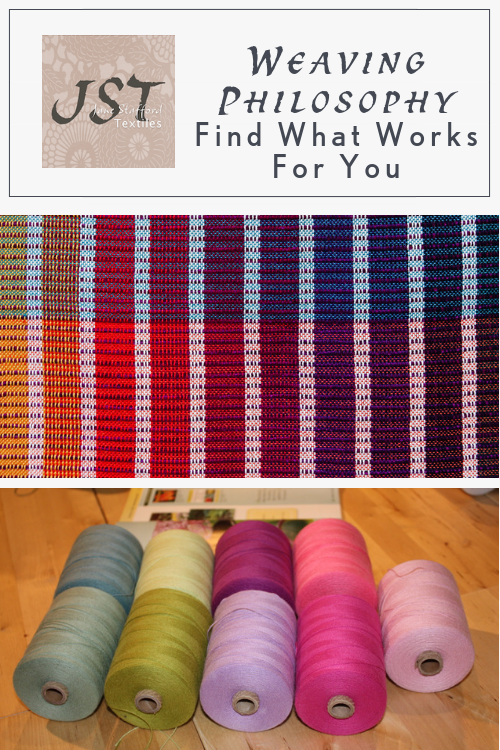 What’s your weaving philosophy? Share it in the comments, or connect with us on Facebook, Instagram or Ravelry. We’d love to hear from you! Fear of failure is so very limiting, so never fear to try! I enjoyed reading your post. I just took up fiber arts on my loom after not touching it for 30 years. I am taking a class at the Flint Art Institute. I am amazed by how much I remember. I am working on a scarf and have eight weeks of class yet. And you’re so correct about info available now about the subject. I enjoyed reading your posts and I am also enrolled in the on-line guild. I love every class and have watched some episodes more times than others. I really improved my edges by following your advise. Thank you so much both for the wonderful classes and the up-beat way of teaching. Your style of teaching makes it fun to learn. p.s. Is there a draft for the most beautiful scarf you show up above? Hi Marcella. Are you referring to the yellow/green striped scarf? If so, that one is from the Stripes Sample and Jane’s explanation of how she came to weave that particular scarf can be found in Season 2: Episode 7.1 at about the 38-minute mark. I found that when I started weaving and knew very little, I was much more spontaneous and creative. As I got bogged down in detail, I started to worry more about technique and ‘procedure’. 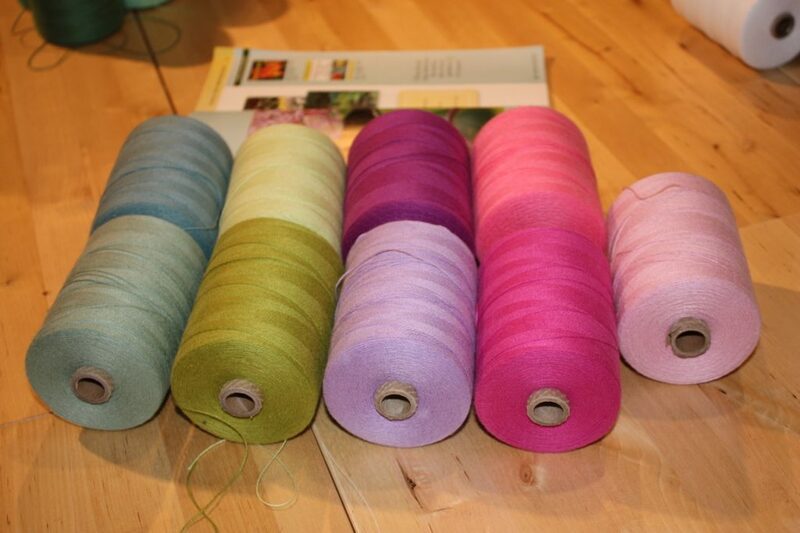 I need to kick start my weaving mojo again! I love your approach by the way. I‘m very happy having joined this guild! I have been weaving now for several years, but discovered new techniques to me already in the first workshops. Love it a lot! Thank you! ….15 years (it looks like my computer skills match my weaving skills…HA!). I just started your On-Line Guild classes and have learned so much already. I have been making my weaving life so hard by not having good basic foundation skills. Thank you for changing that for me. Now I am anxious to start a new (and improved) project once the current one is off the loom. Thank you for your wonderful classes and your sweet way of teaching. My only resolution for 2019 was to become a better weaver. I think I am on my way. I am both analytical and fly into the wind. I immerse my self into learning everything I can until I know enough to go my own way. Project based learning has never really been my thing as I have no interest in remaking someone else’s project. I read and read so I have enough understanding to fly into the wind with my own thing. If I run into a technique snag I seek answers. My motto in everything is never be afraid to consult an expert, they almost always like to talk about their thing and if they don’t, well find another expert. Thanks for the online info requarding selvedges. I find myself weaving to a mantra of “toss, change, beat, tug”. It’s helped a great. deal.